Old World craftsmanship meets modern technology. For Jim Turner, Optibike is an extension of his life as a motocross rider, triathlete, and semiconductor design engineer. 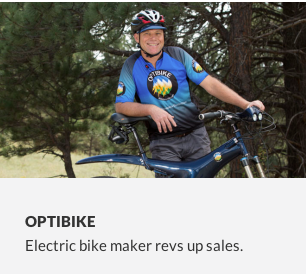 For his customers, Optibikes are a great way to lose weight, commute without a car, and have fun. Case Studies from InfusionCon 2014 sponsored by Infusionsoft. Several of the ideas were presented at Infusionsoft most recent convention held in Phoenix Arizona. As a certified partner since 2008, I have had the pleasure of attending InfusionCon over the last several years, I can confidently say they have grown each and every year, now requiring the entire Phoenix convention center. Plenty of room to grow, as the convention center is huge. Meeting small-business owners from all parts of the globe is not only rewarding it’s very educational. Just learning how they implement follow-up campaigns and automation into all types and styles of business, is extremely helpful when consulting with other business owners. Just one small idea such as multiple tags or groups segmenting your data can be highly beneficial. Well-designed tools make all the difference. 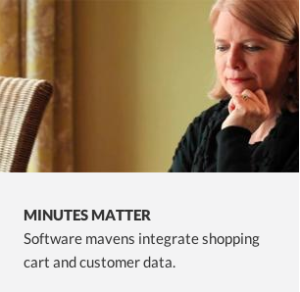 When Debbie Green and her daughter-in-law created Minutes Matter, they quickly became the leading provider for easy-to-use interior design software, quoting solutions and organizational systems. But their own internal systems were anything but easy. Using four separate tools meant nothing worked together; the national sales team couldn’t coordinate efficiently, and shopping cart data had to be manually entered into the CRM. Plus, an overly-simple email program limited their ability to create targeted, relevant marketing messages to prospects and customers. Continue here…. Automation frees up precious time for this dad. 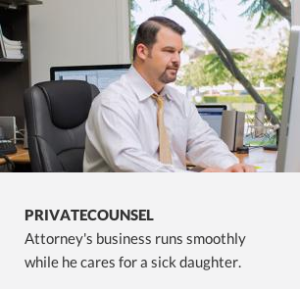 David’s business is all about taking care of families. From wills and trusts to full estate planning, David and his associates help people put their affairs in order so their families are protected. PrivateCounsel spent far too much time and money marketing the business and trying to stay top-of-mind to leads in the pipeline. If the team was busy with existing clients, new leads often received no follow-up until long after they expressed interest. But once he got Infusionsoft, David’s team put the automation tools to work. Continue here…. Be sure to visit the Automation Page. Lets get started this month!